A devastating performance by England’s bowlers yesterday in the 2000th Test match saw them beat India in the first Test of the series at Lord’s. The historic result was an opportunity for Chartwell London to claim bragging rights over our Indian partners in Mumbai (at least until the second test of the series gets underway). The fifth-day sell-out crowd was a powerful signal aimed at those who claim the death of the Test game is near, with one day internationals and 20-20 forms of the game now attracting global audiences, and successfully commercialised. As huge fans of the game, we were lucky enough to catch up with former England cricketer Ed Smith, who discussed leadership in sport and what it takes to win. Ed Shawcross, Head of Marketing and Events and cricket aficionado, asked the questions. The interview can be seen here. England’s victory by 196 runs is their 35th against India in 100 Tests. (Lost 19 and Drawn 46) with a success percentage of 35.00. Sachin Tendulkar has averaged only 21.66 at Lord’s – 195 in nine innings, without a half-century. 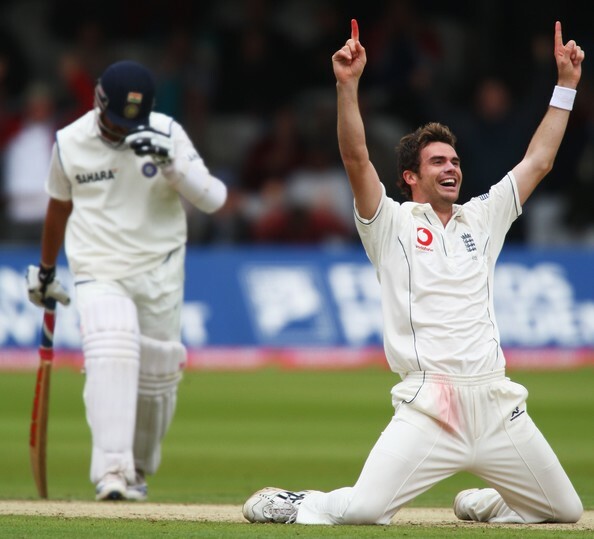 James Anderson has dismissed Sachin Tendulkar six times in seven Tests. For the first time in a Test match, Stuart Broad has taken seven wickets – 7 for 94, eclipsing the 6 for 87 against South Africa at Durban in December 2009. Kevin Pietersen’s tally of seven MOM awards is bettered only by Ian Botham (12) and Graham Gooch (9) for England. India have won 1, lost 11 Tests and drawn 4 out of 16 played at Lord’s. England have won 47, lost 27 and drawn 47 out of 121 played at Lord’s.